Swirls of a pearly pink amidst lighter shades of blushes and roses bordered with a perfectly precise gold rim. Blush Alabaster is all class and romance, and this semi-opaque coupe charger will elevate the look of any tablescape. Our chargers are all food safe and can be used to add pizzazz and elegance to your event or in food service. 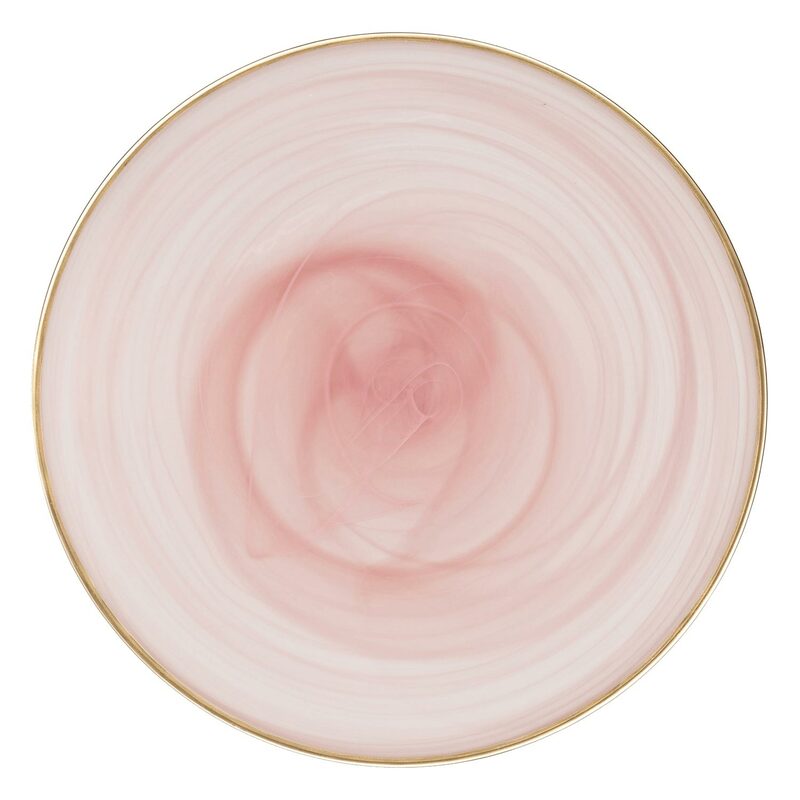 Rent Blush Alabaster Glass chargers for a perfect balance of simplicity and luxury. View more Glass Chargers for your event rental. 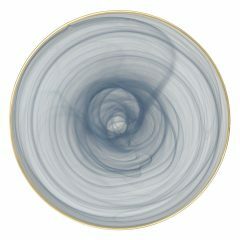 The smoky swirls of light and dark shades of gray are rimmed by a perfectly golden border. 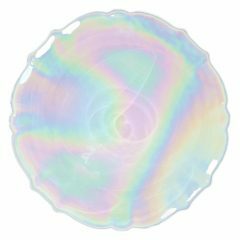 This semi-opaque coupe charger lends a mysterious and elegant vibe to your event. All of our chargers are designed to be food safe, so you can use them in food service or to elevate your design. 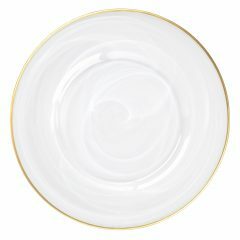 Clean, modern lines and an elegant hammered texture make this charger ideal for a variety of tablescape styles. 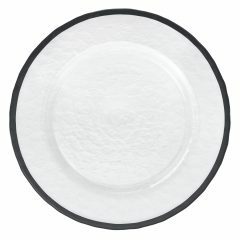 A crisp, clear, glass plate outlined by a perfect black rim, Black Hammered brings a tasteful and dignified contrast to your place settings. All of our chargers are designed to be food safe, so you can use them in food service or to elevate your design.